Chicago, IL – The Getty Foundation has awarded a two-year grant to the Department of Art History at the University of Chicago to nurture a new generation of historians of Chinese art through dissertation workshops and a traveling seminar which cross continental, cultural, and academic boundaries. The University of Chicago/Getty Dissertation Workshops in Chinese Art History and the University of Chicago/Getty Traveling Seminar in Chinese Art History are funded as a part of the Getty Foundation’s Connecting Art Histories initiative, which aims to increase opportunities for sustained intellectual exchange across national and regional borders. Conceived as a dual location program, doctoral candidates from North America, Europe, and Asia will participate in the dissertation workshops in Chicago or Beijing. Through presentations and discussions, as well as site and collection visits, participants in the dissertation workshops will develop or advance their dissertation projects while being exposed to different topics and divergent methodologies, allowing them to discover unexpected historical links and conceptual connections. The traveling seminar to China, including similar robust art historical exchanges between students and scholars, will expand perspectives at an even earlier, formative stage. The groups emerging from such concentrated dialogues will shape the future of Chinese art history and art history in general, fostering nuance, originality, and collaboration. In addition to the dissertation workshops and traveling seminar, one University of Chicago doctoral candidate with fluency in Chinese (Mandarin) and specializing in art history or visual and material culture will be supported in each of the two years by a year-long University of Chicago/Getty Dissertation Fellowship in Chinese Art History. They will provide research assistance and handle organizational matters for the workshops and the traveling seminar, while also advancing their own dissertation work. Professors Wu Hung and Wei-Cheng Lin, both members of the University of Chicago faculty, will serve as Director and Deputy Director of the program, respectively. Together with Dr. Katherine Tsiang, Associate Director of the University of Chicago’s Center for the Art of East Asia; Professor Christine Mehring, Chair of the Department of Art History; and Professor Persis Berlekamp, Director of Graduate Studies, they will form the program’s steering committee. "Art history is a stronger discipline when scholars are able to collaborate across boundaries and areas of specialization," said Deborah Marrow, director of the Getty Foundation. "We are delighted to support the University of Chicago in such an effort through our Connecting Art Histories initiative. This program promises to reach a rising generation of scholars of Chinese art from around the world, bringing them together to advance their own individual studies and benefit the field as a whole." The program will be able to take full advantage of the university’s recent global expansion, including staffed centers in Beijing and Hong Kong, with a mission to facilitate transcontinental research and programming. 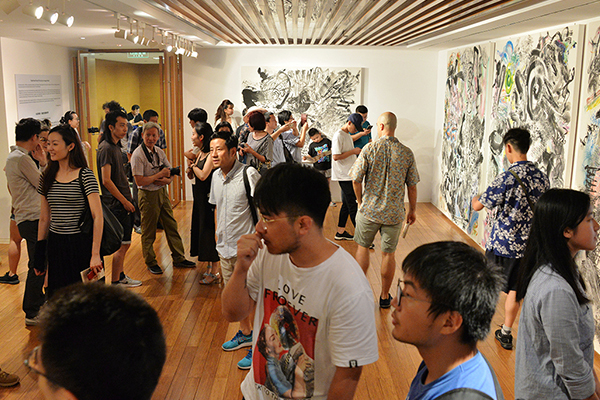 At the same time, the program will draw on the expertise of invited scholars from other institutions and countries and establish lasting close ties with art history programs in Chinese universities. 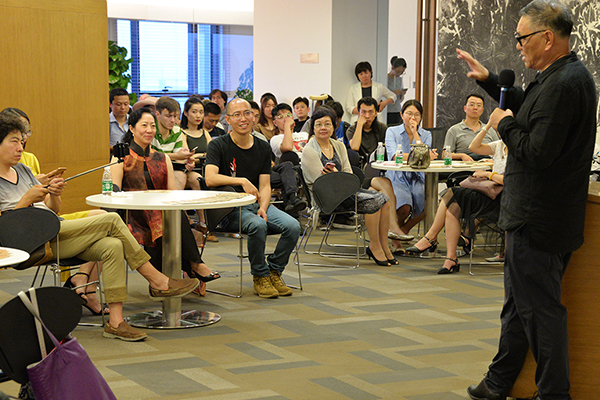 Over the course of the two-year program, four 12-day dissertation workshops will be held, two at the University of Chicago and two in Beijing. Each workshop will have a different set of 10 students. Workshops, led by scholars, curators, and faculty, will include presentations of dissertation projects; discussions of their content, purpose, and method; as well as discussion of the state of the field, key texts, research methods, and skills. In addition to classroom meetings, related programming for the workshops will include visiting museums, exhibitions, archives, architectural sites, private collections, and/or other art spaces. During the workshops, participants will be able to pursue individual dissertation research in local libraries, archives, and collections. The 2018–19 workshops will be led by Professor Wu Hung in Beijing and Professor Martin Powers in Chicago. Powers is the Sally Michelson Davidson Professor of Chinese Arts and Cultures in the Department of Art History at the University of Michigan and an eminent scholar of early Chinese art, the history of Chinese painting, and relations between Chinese art and the West. 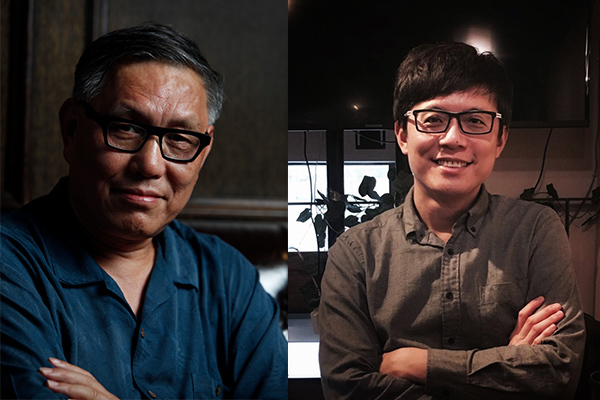 The 2019–20 workshops will be led by Professor Wei-Cheng Lin in Chicago and Professor Zheng Yan in Beijing. Zheng Yan is a Professor of Art History and also Director of the Library at the Central Academy of Fine Arts in Beijing. One of the most well-known and well-respected art historians of Chinese art in China, he is specialist in medieval Chinese art and archaeology. He has also been one of the two chief collaborators for the International Tomb Conference held biannually at the University of Chicago’s Center in Beijing and organized by the Department of Art History’s Center for the Art of East Asia directed by Professor Wu Hung. “I'm very much looking forward to helping create this dissertation workshop, which will offer a new platform for studying Chinese art by forging connections between Chinese and American academic institutions and between PhD candidates from all over the world,” Professor Wu Hung said. “This is a timely undertaking that will truly bring the field together in the global context, nurturing a new generation of Chinese art historians who will shape the future of the field,” Professor Wei-Cheng Lin said. (1) Yulin Cave 4 (11th Century), near Dunhuang. Courtesy of the UChicago Department of Art History. ; (2) from left: Prof. Wu Hung and Prof. Wei-Cheng Lin. Courtesy of the UChicago Department of Art History. ; (3) Opening of exhibition curated by Prof. Wu Hung at the University of Chicago Beijing Center Art Gallery, courtesy of the University of Chicago Beijing Center; (4) Prof. Wu Hung lecturing in a University of Chicago Beijing Center classroom, courtesy of the University of Chicago Beijing Center. 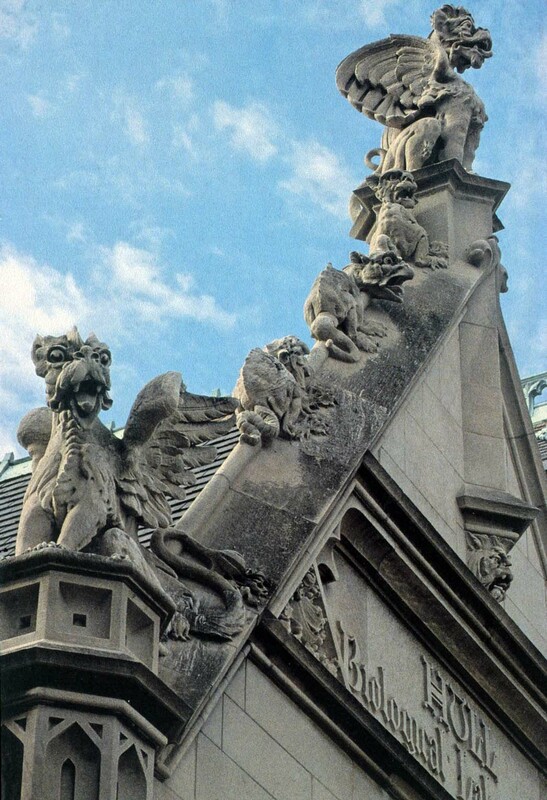 ; (5) University of Chicago Hull Biological Laboratories and Cobb Gate, detail of Gargoyles. Courtesy of Prof. Katherine Fischer Taylor. For more than a century, art historians at the University of Chicago have made transformative interventions in the discipline. Today, the Department of Art History distinguishes itself with a combination of global scope, object-driven research, and committed interdisciplinarity. Faculty and students pursue research spanning five continents, as historical strengths in Asian, European, and North American art have expanded to include Latin American, African, and Islamic art, as well as the relations between these and other geographical areas traditionally treated in isolation. The Department participates in object-, material-, and site-based research that is often large-scale and collaborative, object-driven training in the Chicago Objects Study Initiative and Rhoades Program, and annual traveling seminars and conservation classes. Interdisciplinary commitments are manifest in faculty’s co-teaching, cross-appointments, and involvements in other departments, centers, and initiatives across campus, in the multiple workshops faculty and students in art history sponsor and participate in, and in the coursework students are encouraged to pursue beyond art history. The Getty Foundation fulfills the philanthropic mission of the Getty Trust by supporting individuals and institutions committed to advancing the greater understanding and preservation of the visual arts in Los Angeles and throughout the world. Through strategic grant initiatives, the Foundation strengthens art history as a global discipline, promotes the interdisciplinary practice of conservation, increases access to museum and archival collections, and develops current and future leaders in the visual arts. It carries out its work in collaboration with the other Getty Programs to ensure that they individually and collectively achieve maximum effect. Additional information is available at www.gettyfoundation.edu/foundation.